They called us the 1980’s in a bottle. THE GROUNDBREAKING BRAND KNOWN FOR ITS SIGNATURE ROUNDED BOTTLES AND CRISP, CLEAR FLAVORS IS FINALLY HERE. ounded in 1981 by the father and son team Alan and Randy Miller in Walnut, California, the brand’s popularity soared in the 1980s, focusing on a “natural” approach to soft drinks using a preservative-free formula in an era when such a practice was largely unheralded. 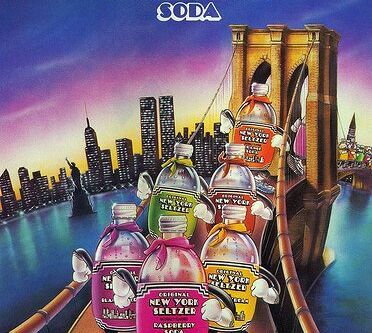 Bubbly, fizzy and sold in charming siphon-style glass bottles embellished with a New York City motif, ONYS was omnipresent, with flavors ranging from Vanilla Cream to Orange. One of the company’s biggest points of differentiation became the complete foregoing of artificial color, meaning that while Raspberry tasted like Raspberry, no unnecessary magenta hue bogged it down. 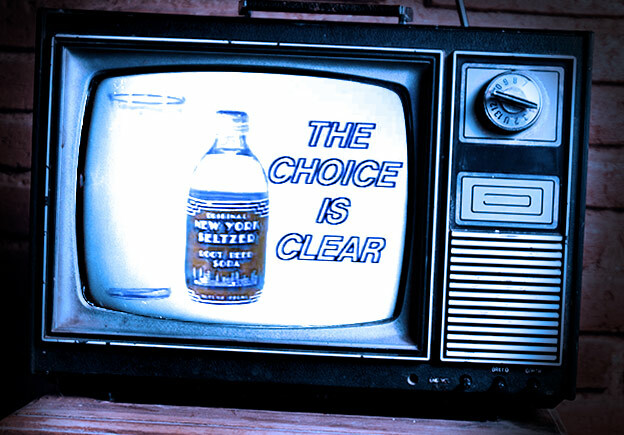 “The Choice is Clear” became its motto. During its original run, ONYS took the market by storm, even forcing such stalwart brands as (rhymes with Shmoke and Fepsi) to come out with lighter options. Randy Miller, known for his insane publicity stunts (jumping from top hotel floors, pet tigers) became the embodiment of 80’s cool. He was only 24, but already he owned a 100 million dollar company. Even the Lifestyles of the Rich and Famous came calling. But in the 90s, ONYS ceased to exist. Vanished. Randy became an animal trainer for Hollywood. Fans everywhere wondered if their favorite soda would just end up a childhood memory, only living on 80’s throwback sites. In 2013, Ryan Marsh from Los Angeles, California rediscovered his favorite drink when he purchased the original factory that bottled it. 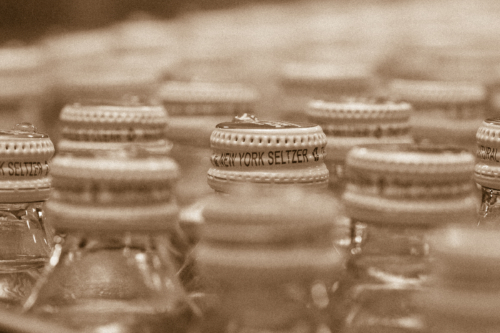 He dug through old files, found and confirmed the original recipes, and immediately began with a dream of his own: Bringing Original New York Seltzer back. Production began in May 2015 starting with the six original flavors: Black Cherry, Vanilla Cream, Raspberry, Root Beer, Peach, and Lemon Lime. Blueberry, Orange, Cola and Berry, soon followed suit. Within a year, ONYS was back in more than 30,000 stores, including Sprouts, Safeway, World Market, Costco, Whole Foods (2017) and more. In 2017, ONYS promises the debut of its newest product line: Sparkling Water! Zero calories, 8 flavors, and the same quality and commitment you remember: All natural flavors and no preservatives. Father-and-son team Alan and Randy Miller founded the brand in 1981. ONYS goes away, becomes a cult legend. People ask: "Whatever happened to...?" 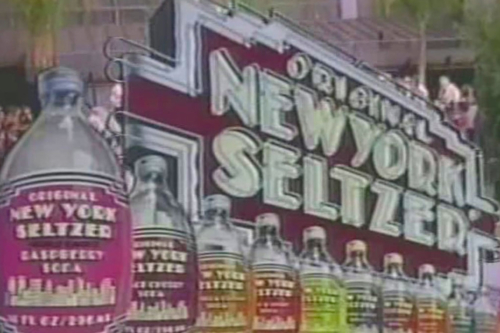 Original New York Seltzer is back in production! New Product Line: ONYS Sparkling Water! IT’S JUST LIKE YOU REMEMBER.